Design Improvised is Joining Martha’s Circle! Just a quick post to share some exciting news this Friday. Design Improvised has been invited to join the Martha’s Circle advertising network! As part of Martha’s Circle, Design Improvised joins a family of lifestyle and DIY blogs selected by Martha Stewart editors for their dedication to “delivering ideas that inspire, and tools to instruct”. For Design Improvised readers it means I’ll occasionally be joining forces with the Martha Stewart brand and its advertising partners to bring you sponsored content about interesting products. You’ll also see a couple more ads in my sidebar from companies I hope you find relevant and exciting. 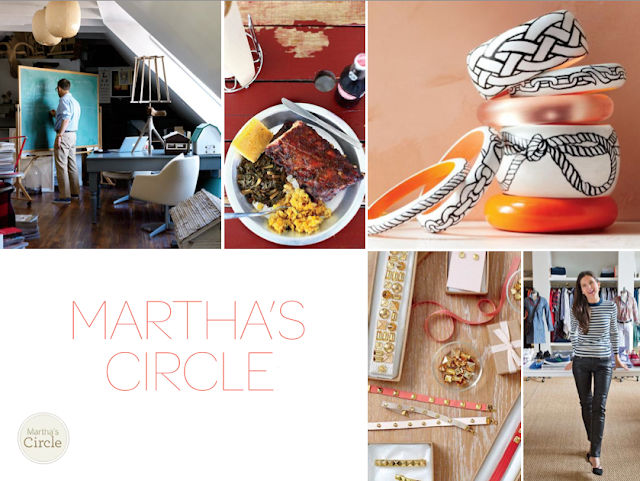 I couldn’t imagine a better fit for an advertising partner than Martha’s Circle – I hope you agree!